This group is designed to be a benefit and aid to its mastermind members. 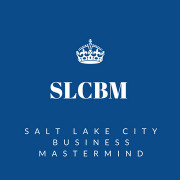 We discuss current business challenges and how to work through them while we lift each other and our organizations to new heights through the power of the collective mind and thinking of the group. The intent is not networking though that is a possible product of the intended purpose - to solve problems, improve organizations, and lift people.